Not more than 23 years of age for UG courses and no age limit for PG courses. Completed or pursuing 10+2 or Diploma. The candidates who have enrolled for NEFT admissions 2019 should be aware of the eligibility criteria of NIFT 2019.
recognized by law in India. The candidate belonging to the general category should not exceed 23 years of age as on 1st October 2017. For the candidates belonging to SC, ST or Physically Handicapped Person (PHP) there is a relaxation of 5 years on the maximum age limit. The candidates must have cleared class XII examination or equivalent from any recognized central or state board, or GCE (General Certificate Education) examination at the advanced level to fulfil the eligibility criteria. Candidate should have the +2 level examination in the 10+2 pattern of examination of any recognized Central/ State Board of Secondary Examination, such as Central Board of Secondary Education / State Board New Delhi, and Council for Indian School of Certificate Examination, New Delhi. Candidate should have a General Certificate Education (GCE) Examination (London/Cambridge/Sri-Lanka) at the Advanced (A) level/ International Baccalaureate (IB). Candidate should have any Public School/Board/University Examination in India or in foreign countries recognized by the Association of Indian Universities as equivalent to 10+2 system. Candidate should have a passing grade in the Senior Secondary School Examination conducted by the National Open School with a minimum of five subjects. Candidate should have 3 or 4-years diploma recognized by AICTE or a State Board of Technical Education. The candidate must hold 10+2 level of examination from a recognized Central/state board of secondary examination, New Delhi or the candidates must possess GCE (General Certificate Education) examination at the advanced level with Physics and Chemistry to fulfil the eligibility criteria. Candidate should have a General Certificate Education (GCE) Examination (London/Cambridge/Sri- Lanka) at the advanced (A) level with Physics, Chemistry, and Mathematics / International Baccalaureate (IB). Candidate should have any Public School/Board/University Examination in India or in foreign countries recognized by the Association of Indian Universities as equivalent to 10+2 system with Physics, Chemistry, and Mathematics. Candidate should have a passing grade in the Senior Secondary School Examination conducted by the National Open School with a minimum of five subjects with Physics, Chemistry, and Mathematics. The candidates holding the Diploma certificate of 3-4 years in Engineering recognized by AICTE (All India Council for Technical Education) also have the eligibility for B.FTech. There is no minimum or maximum age limit mentioned under the eligibility criteria for postgraduate programs. The candidate must hold a Diploma in Undergraduate design from NIFT / NID only or Undergraduate degree from any recognized institute to fulfil the eligibility criteria. An aspirant must hold a minimum of 3 years undergraduate diploma certificate from NIFT or NID. The candidate willing to apply for M.F.M must hold minimum 3 years undergraduate diploma from NIFT or NID or Undergraduate degree from any recognized institute to fulfil the eligibility criteria. The candidates applying for M.F.Tech must hold a B.Tech./BE degree from any recognized institute or B.F.Tech from NIFT to fulfil the eligibility criteria. They will be allocated their campus or program in NIFT 2019 on the basis of their scores in the merit list. They have the flexible to opt for as many SAT/ GMAT/ GRE tests before April 30, 2019. Such candidates who are seeking admission under the Foreign Nationals and NRI category in NIFT are mandated to apply through the official website. The last date to apply in NIFT would be April 30, 2019. They also need to obtain equivalent certificates of their foreign degrees from the Association of Indian Universities (AIU), New Delhi, prior to admission in NIFT. A Special NRI Test would be conducted for admission to seats reserved under NRI quota. Candidates having Common Merit Rank (CMR) as well as fresh candidates can apply for the NIFT test, subject to fulfilment of academic and documentation requirements. The NIFT Test/ Interview would be conducted at New Delhi Center. NIFT Exam Eligibility age should not be more than 23 years for general. NIFt Exam Eligibility age should not be more than 28years for SC/ST/PWD. Candidate must have a +2 level examination pattern of examination of any recognised central or State Board of Examination for NIFT Exam Eligibility. 3 or 4-years diploma in any branch of engineering recognized by AICET or a state Board of Technical Education for NIFT Exam Eligibility. Undergraduate Degree in any discipline for NIFT Exam Eligibility. Undergraduate Diploma of minimum three years duration from NIFT / NID for NIFT Exam Eligibility. I got NIFT B.Des 2018 OBC category rank is 951 and common merit rank is 4601. Do I hold a chance of getting into any of NIFTs? 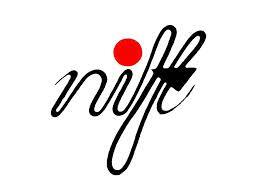 Here are the full details of NIFT eligibility for getting admission here. I am handicapped, what is the age limit for the PWD candidates? You can check the eligibility from the following link. 5 years of age relaxation is there for PWD candidates. Click here to read more about eligibility criteria in detail. For B.Des. Fashion Designing, what is the eligibiity criteria? You can check the eligibility from the following link. I am in 12th standard. Am I eligible to write the NIFT exam? Yes, you are eligible for the NIFT exam. Candidates who want to apply for the Design course should have passed 12th standard in any group. The candidates who want to apply for the Technology course should have had Physics, Chemistry and Mathematics in class 12. I am 24 years old. Can I apply for the B.Des(Fashion Design) course? The general category candidates' age should not be more than 23 years as on October 1st, 2016. The candidates belonging to the SC,ST or Physically Handicapped Person (PHP) category have a relaxtion of 5 years on the maximum age limit. I wanted to know the eligibility criteria for textile design for NIFT. What are they? The applicant belonging to the general category should not exceed 23 years of age. For the applicants belonging to SC, ST or Physically Handicapped Person (PHP) there is a relaxation of 5 years on the maximum age limit. Applicants must have cleared class XII examination or equivalent from any recognised central or state board, or GCE (general certificate education) examination at the advanced level to fulfil the eligibility criteria. What is Eligibility criteria for B.FTech ? I am interested to know the eligibility criteria for Bachelor of Fashion Technology (B.FTech.)? The candidate must hold 10+2 level of examination from a recognised central / state board of secondary examination, New Delhi or the candidates must possess GCE (general certificate education) examination at the advanced level with Physics and Chemistry to fulfil the eligibility criteria. The candidates holding the Diploma certificate of 3-4 years in Engineering recognised by AICTE (All India Council for Technical Education) also have the eligibility for B.FTech. What is the eligibility criteria for Masters of Fashion Management? I was curious to know the eligibility criteria for M.F.M since i wanna pursue my further education in the same field. The candidate willing to apply for M.F.M must hold minimum 3 years undergraduate diploma from NIFT or NID or Undergraduate degree from any recognised institute to fulfil the eligibility criteria. What are the criteria for undergraduates in NIFT? The applicant belonging to the general category should not exceed 23 years of age as on 1st October 2016. What is the maximum age limit to be eligible for NIFT 2017? For UG programs, the maximum age limit is 23 years as on 1st October, 2016 for general candidates. For reserved category candidates, relaxation of 5 years is given. For PG programs there is no age limit.